Extending your stock vent tubes is an easy way to help protect your drivetrain when driving through deep water. If you ever expect to cross water deeper than your wheel hubs, this mod is a good idea. Replacing your breather caps with filters is equally important, and here is why. By this logic running the tubes to the clean/low pressure side of the airbox as some do is the worst possible solution. This is a very easy mod, taking about an hour and needing only a screwdriver. These instructions are specific to the Gen5 4x4 with the 5-speed auto, but all vehicles are similar. For filters I used these (found them on sale for $3 each), but anything similar is fine. For a tailor made option, the filters shown in the video above are available but expensive. The low budget choice is to use $1 plastic fuel filters with some oil on the element. The vent is located on the top of the axle tube, on the drivers side of the pumpkin. Run the new hose along the same path as the stock one and make sure to leave slack for suspension movement. I then zip tied the hose along the wiring harness and up behind the drivers side tail light and tied the filter in the bed hole mount. You can also wrap it over the fuel filler neck or run it up front with the other filters. Just make sure to hang it upside down to prevent anything that does get through the filter from draining down the hose. The vent is located on top of the pumpkin, slightly on the passenger side. Run the new hose along the same path as the stock one and then up to around the brake master cylinder. I hung the filter here because Ford put the fuse box here so I figure it is a dry spot but put it wherever you want. Above you can see the trans vent tube. It runs up to the top of the bellhousing and back down the drivers side. There are two small holes at the top of the tube and because of these you cannot simply connect your hose to the end of it. The vent comes out of the top rear of the trans and there is a short length of hose that you can remove to bypass the stock metal tube. Add the new hose here. I chose to join the trans and transfer case together so I just ran a short length of hose out to the drivers side. The transfer case vent is on the front of the case and the stock hose is tied to the trans vent tube. If you have already done the trans it should simply slide off to the rear. Attach a short length of hose to the vent to run to the tee fitting with the trans. 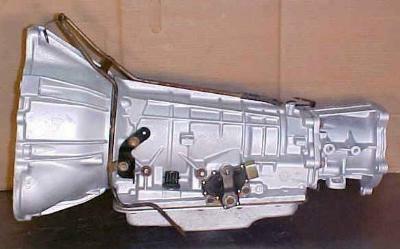 The hose on the bottom left is connected to the transfer case. The one to the top left is running to the trans, and the one to the top right is running forward to the filter. The tee fitting is attached to an unused stock plastic hanger hanging from the cab. Run the joined hose along the fuel lines/evap lines up into the engine compartment. Wrap the hose over the master cylinder, add the filter, and you are done! I have about 8ft of tubing and 2 union fittings left over, if anyone local wants them just pm me.